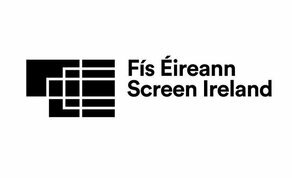 Screen Ireland is now accepting applications for the 2019 edition of its ‘Frameworks’ short film scheme, which is co-funded by RTÉ. An initiative established to support the short animation filmmaking industry, ‘Frameworks’ is the flagship scheme for the Irish animation sector. The scheme has produced global award-winning films to a consistently high standard including titles such as Louise Bagnall’s ‘Late Afternoon’ and Alan Holly’s ‘Coda’, both of which were shortlisted for nominations for the 2019 and 2015 Academy Awards®, respectively. Other notable ‘Frameworks’ short films include Nicky Phelan’s ‘Granny O’Grimm’s Sleeping Beauty’, Jack O’Shea’s ‘A Coat Made Dark’ and Vincent Gallagher’s ‘Second to None’; all of which went on to become internationally award-winning films. Projects selected for ‘Frameworks’ funding will combine creative exploration with an ability to appeal to a general audience. The 2019 deadline is Friday, 8th February 2019.